Do something that fuels your passion. Not something that burns you out. Manufacturing is the lifeblood of the economy and today’s modern opportunities are anything but dull. Build a career. Have a life. Contrary to popular belief, it is possible to have a career AND a life. So it’s no surprise that with 92% of US manufacturing employees eligible for health insurance benefits and our average work week lasting 42 hours – we know work-life balance because we live it every day. No matter where you come from, how much education you have or what you’re interested in doing, there is a stable, good-paying job in manufacturing just waiting for you. And getting started has never been easier. So seize the moment and join the millions of others who chose to stop working a job and start building a career. Forget what you heard about the dirty, dark and dangerous manufacturing jobs of old. Modern manufacturers use equal parts brain power, technology, and tenacity to design and fabricate high-precision parts and products for the necessities of today and the innovations of tomorrow. Challenging. Technical. Satisfying. Find a manufacturing job type that matches your interests. If you're ready for the challenge, there's a career in manufacturing waiting for you. Ohio manufacturers are looking for you! 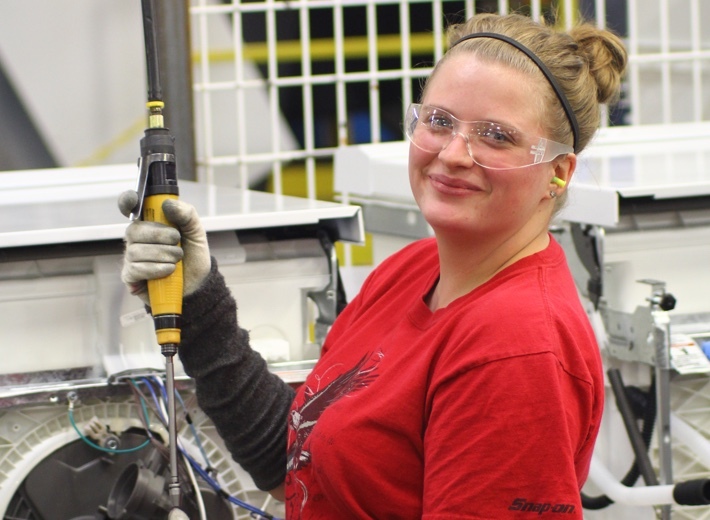 Register with OhioMeansJobs and start your journey to a rewarding manufacturing career.